Holsters and Clasps There are 2 products. 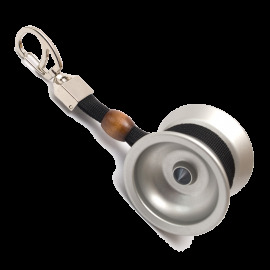 A sleak looking yo-yo holder by YoyoFactory. 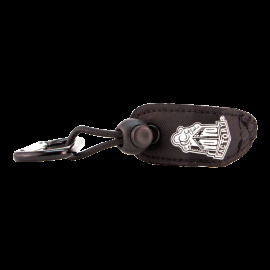 Features a strong carabiner clip, with elastic chord, allowing you to safely and snugly hold your favourite yo-yo and hook it to your belt, bag, or anywhere that the clip can grab on to.